Maximizing the proportion of cows that conceive early in the breeding season cannot be overemphasized in a beef herd. Photo courtesy of Troy Walz. Artificial insemination (AI) is the most powerful tool cow-calf producers have to improve beef cattle genetics. Still, they have been slow to adopt this technology due to the time and labor of heat checking and a market structure that until recently did not reward genetic improvement. However, markets are now rewarding improved genetics (e.g. premiums) and improved fixed time AI (FTAI) protocols make it easier for the cow-calf producer to use AI. Using FTAI eliminates the time and labor associated with heat checking while getting pregnancy rates similar to AI protocols that include heat checking. In addition, AI calves provide an economic gain because they are born earlier in the calving season resulting in more pounds of calf weaned. manage heifer nutrition before and after AI. Most importantly, successful FTAI requires careful thought and attention to detail. Calving date for first-calf heifers impacts cow longevity and productivity. Calving late in the first calving season increases the proportion of open cows or cows that calve later next year. Research has shown heifers calving earlier in their first calving season remained in the herd longer and produced greater calf weaning weights compared with heifers calving later in the season, allowing for greater longevity and lifetime productivity. Calf age is the biggest factor impacting weaning weight in cow-calf operations. Herds with short calving seasons will wean heavier calves compared with herds that have a longer calving season. Maximizing the proportion of cows that conceive early in the breeding season cannot be overemphasized in a beef herd. Data from the University of Nebraska reported heifers born during the first 20 days of the calving season compared to heifers born later were heavier at weaning, prebreeding, and calving; more likely to be cycling by the start of the breeding season; and more likely to get pregnant. Heifers that conceive early in the breeding season stay in the herd longer, which increases profitability. Decreasing the calving period has far-reaching implications beyond the cow-calf enterprise. Steer progeny born during the first 20 days compared with later-born steers weighed more at weaning; and ultimately produced a heavier carcass, higher marbling score, and greater carcass value. 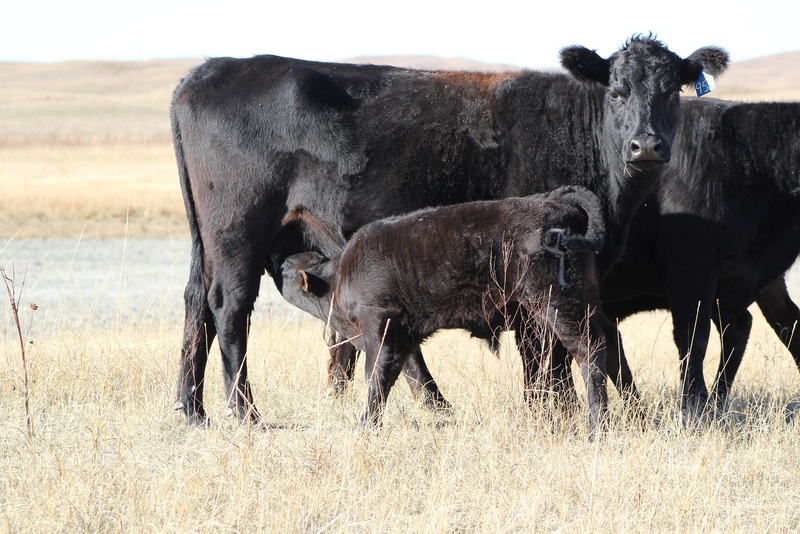 Management strategies for increasing the proportion of early calving heifers and cows are discussed in a proceedings paper from Applied Reproductive Strategies in Beef Cattle conference held in Manhattan, KS, in 2017.